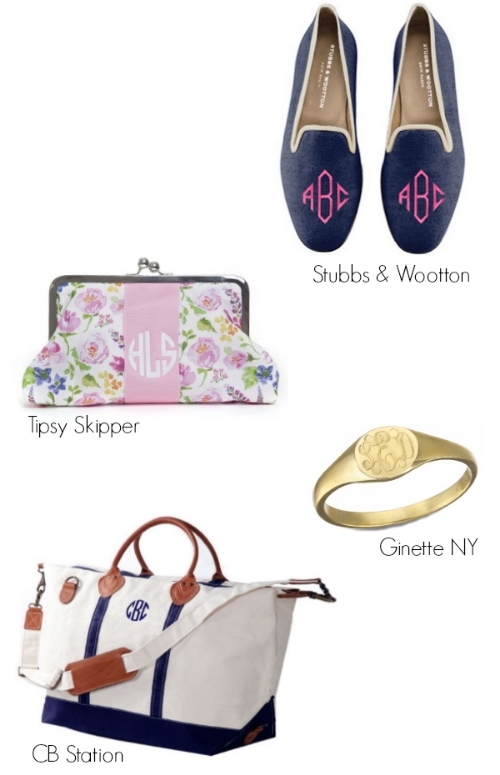 I've been really into the monogrammed things lately, so I thought I'd do a post of some of my favorites. Did you know that you can monogram almost anything from J.Crew? Purses, sweaters, dresses... I'm loving that they have that option. That Cuyana tote is to die for - definitely a staple piece!